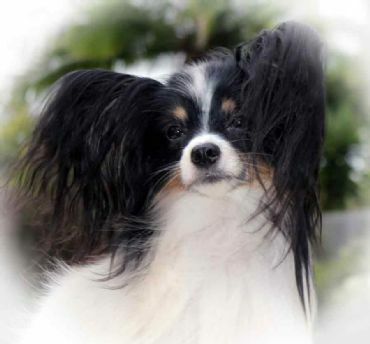 Bobby has a pedigree that speaks for itself, having many of the most outstanding papillons in the UK. Bobby is the son of ENG CH/CAN/AM GRD CH LAFFORD FLY ME TO FARLEYSBANE JW known to many as Dave. Dave was awarded Best of Breed at WESTMINSTER 2012 AND CRUFTS 2012. Dave has again been awarded BOB at CRUFTS 2013. Again in 2014 Dave awarded BOB at CRUFTS. This clearly demonstrates the qualities that Bobby has to offer this beautiful breed. 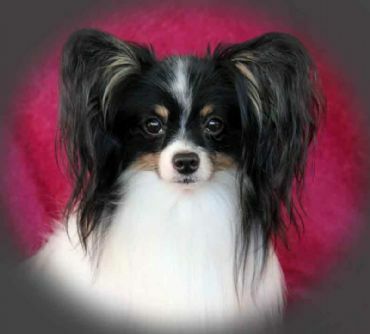 Bobby and Bella have three sons entering the show ring each one of them with outstanding attributes that define the butterfly dog. 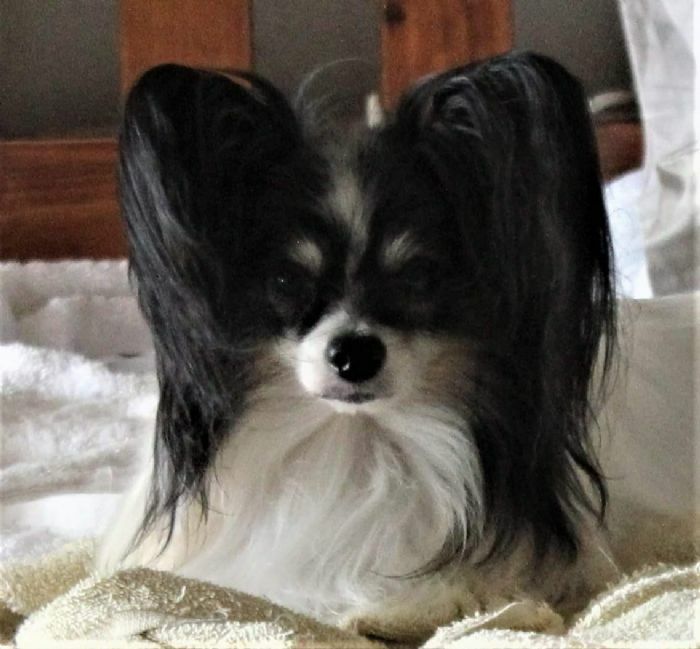 Bobby has sired numerous Champions and Grand Champion, and his progeny are having continued success in the show ring. .
Bobby has a stunning head demonstrating even the finer qualities of the standard we will be forever thankful to John for allowing us to have this little guy.